Entry by MissKainan on Fri Nov 9 14:11:38 2012. I love it how they even included Engineer and Police Germany. 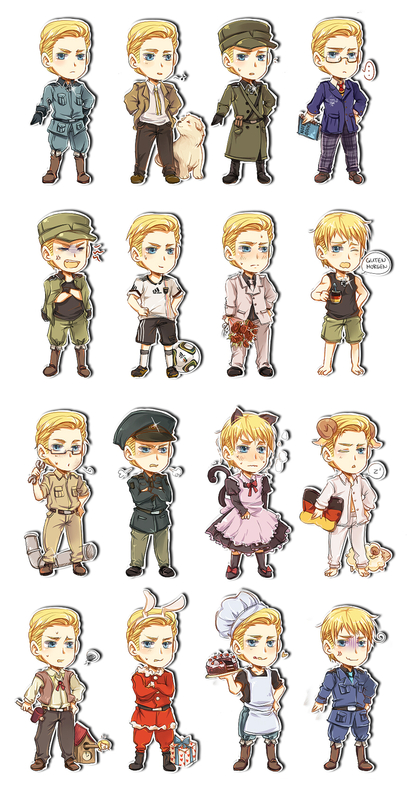 damn.. i think Germany is hottest character in Hetalia..
Guten Morgen to you too, Germany.